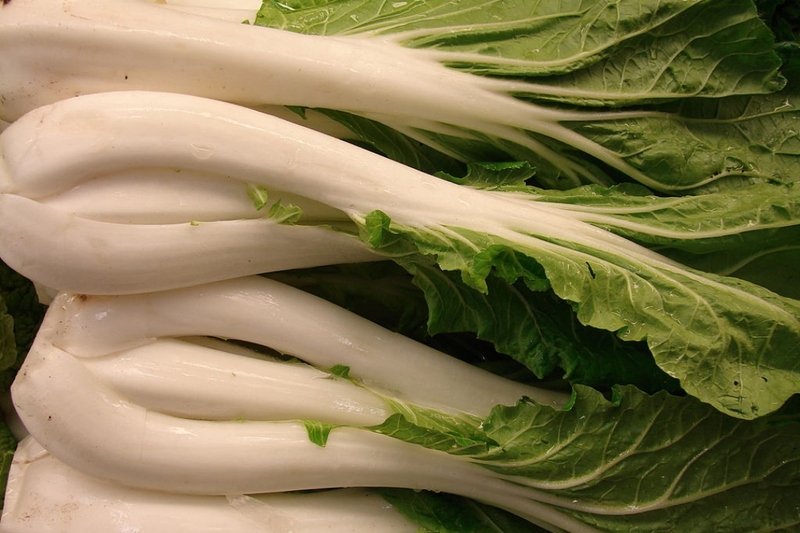 Chinese cabbage (Brassica rapa var. chinensis): growing, planting, caring. A cross between a salad and a cabbage? Well, not exactly, because the Chinese cabbage is technically a turnip ! Increasingly grown in Northern Europe and elsewhere, its sweet taste is one of its qualities. Others include its ease of cultivation, rapid growth - around 60 days from sowing to harvest - and a high nutritional value for very little work. Convinced? The Chinese cabbage will appreciate rich and light soils. A good sun exposure is essential for its development. Sow preferably between July and August - warm temperatures will speed up germination, and shorter days will prevent it from going to seed quickly. The first leaves should appear after about a week. Sow in open soil, in lines 30 cm apart. No need for transplanting, which can cause early emergence. When plants have 4 or 5 leaves, only keep vigorous plant, one every 30 cm. Add some mulch if you can - grass clippings or dead leaves will do ! The Chinese cabbage grows pretty fast, with superficial roots, so it doesn't respond very well to drought. Keep the soil always slightly moist. If the season is hot and dry, watch out for flea beetles which appreciate its tender leaves. Fighting Flea beetles is simple : spray the leaves with water! The Chinese cabbage is generally harvested 2 months after sowing, from September to November/ Chinese cabbage can withstand the first frosts. You can protect the last plants with a veil if needs arise. To consume in salad, do not keep it more than 4 or 5 days before using it. If you plan to cook it, you can keep it for a few weeks in a dark and cool room, away from frost.